Add liquid to chia and it expands into a jelly-like substance. Coconut pudding anyone? Chia can also be used to bind food and is fab added to brekkies, smoothies and puds for a bit of texture. 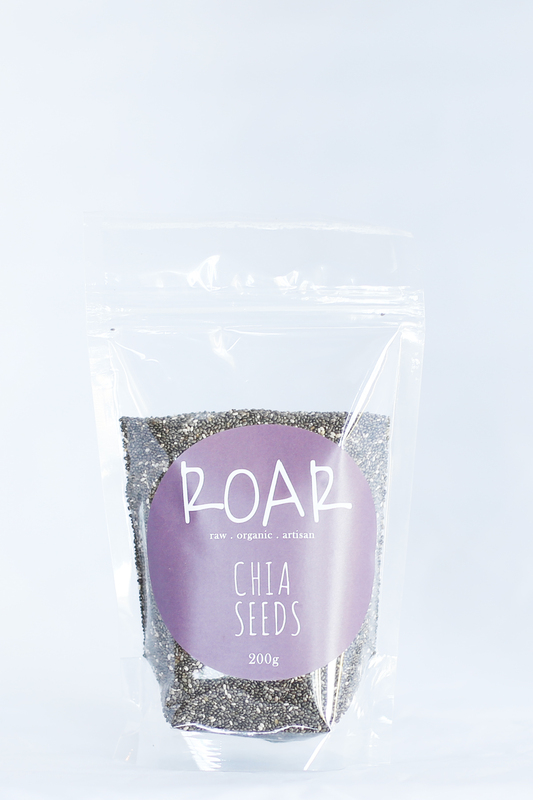 ROAR Chia Seeds are organically grown. Sprinkle over salads, brekkies and desserts as a seed to add texture. Or add liquid and the chia seeds will expand into a jelly-like substance ideal or desserts, sauces or raw jams. Chia seeds will also act as a natural vegan binder when the jelly-like substance is dehydrated. Chia seeds are one of nature’s best sources of alpha linolenic acid (omega-3s). They’re also full of fibre and chocca with calcium. 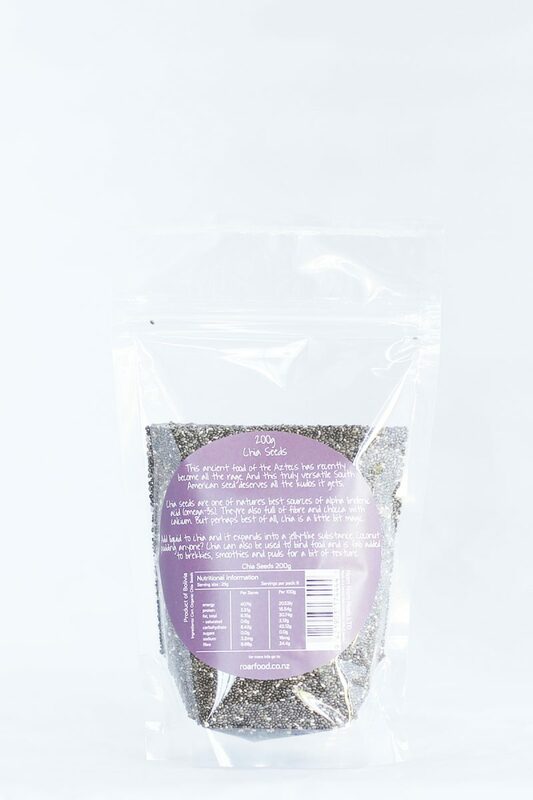 More than 90% of the calories in chia seeds come from the insoluble fibre (which is not digested), meaning they are both filling and low in calories, making them a great food for this looking to eat more for less calories! This ancient food is as magical as the Aztecs who first cultivated this seed – add liquid and see it expand into wonderful jelly-like substance. Chia seeds contain alpha-linolenic acid (a plant source of omega-3). They are also chocca full of magnesium and fibre, with some calcium thrown in for good measure. Chia is fab added to brekkies and smoothies for a bit of texture. Add liquid for a jelly like pud or if that doesn’t put a spell on you, it can be used to bind food in place of eggs and gluten.